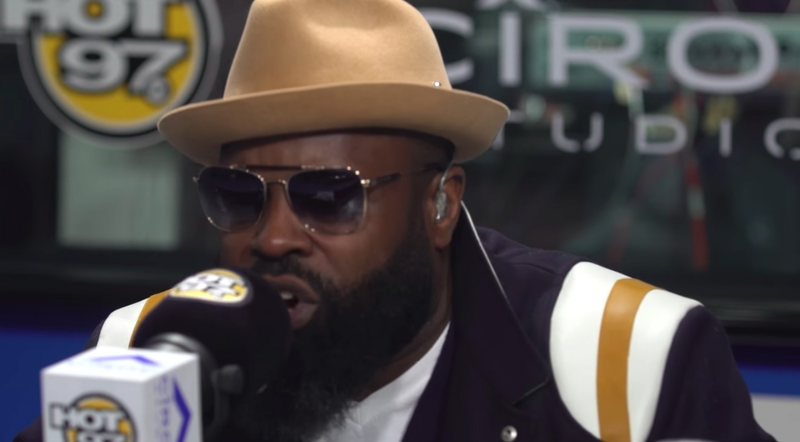 After Black Thought broke the Internet this past December with an insane 10-minute freestyle, word has it that The Roots frontman has something else up his sleeve that is just as promising. As announced during a special screening of School Daze, in partnership with his series _Black Thought Cinema Presents _at the Gramercy Theater in New York, he revealed that he is working on a solo EP to be entirely produced by 9th Wonder. During a panel following the film, alongside the storied producer himself, Jean Grae, Felonious Munk, The Roots' Danielle Benton and more, Black Thought announced the news on stage. "Surprise!" he can be heard saying in a clip captured by Nodfactor (see below). As reported, Black Thought kept the details to a minimum, but the news of his latest work will suffice for now, with some presuming the project will be called Streets of Thought. "It's a first of a series that we're putting out," Thought said. "Just be on the lookout for the music that we're about to hit y'all with."